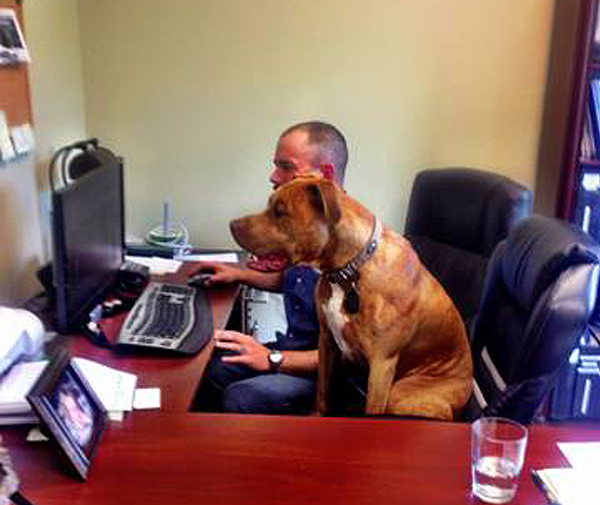 Do You Bring Your Dog To Work? 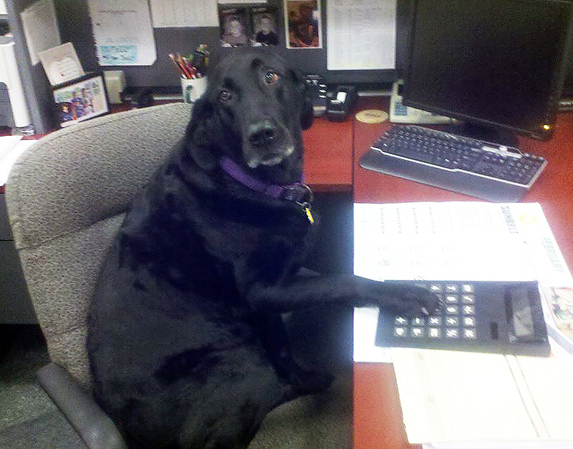 Today is Take Your Dog To Work Day, so we asked our Facebook friends, “How many of you will be bringing your pooch into the office?” As it turns out, lots of you bring your dogs into work whenever you can, or are lucky enough to work from home. (And boo to companies without pet-friendly policies!) Thanks everyone for sharing, and enjoy the day with your dogs! Mine is at work with me a lot. 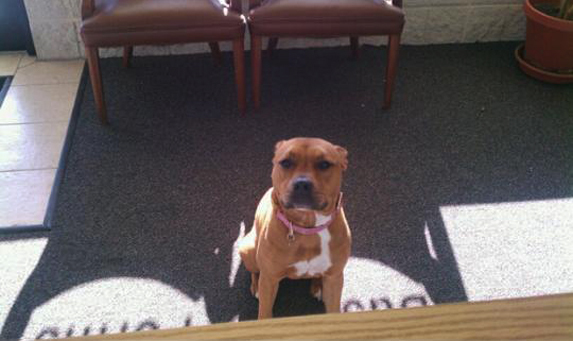 I work at Three Dog Bakery and always take my dogs – a pit bull and a Rottweiler/boxer mix. They make great store dogs!!! Don’t know too many places in Silicon Valley that would let you bring your dog to work unless it’s a service dog. I work from home – every day is take my dogs to work day!